After a terrible war, people will do anything to keep the peace. Ella is the daughter of two scientists, one who was amazing with androids and nanobots, and one who discovers Reveries. Inside a Reverie, people sleep and dream lucidly about one of their memories. When Ella discovers she can enter other people’s Reverie, she gets caught up in a plot that concerns national security. For the first ten percent, I held my heart. The Body Electric got real close to being too similar to Inception. The way Ella enters someone else’s dream, and the imagery of it was corresponding with the movie almost exactly. I was relieved when after the introductory action, the resemblance dissipates, and The Body Electric stands on its own. My love for Ella was cemented when she punches a creepy guy in the face. FINALLY. That’s what you do when someone sneakily approaches you. You don’t swoon or fall in love, no, you punch him. Or kick. Or run. Although Ella’s parents are scientists, and she has helped them occasionally, she’s not a scientist herself. I was slightly disappointed by this, because for once I would love a female scientist YA protagonist. I wasn’t too sad though, because on all other fronts she’s a likeable and realistic character. The Body Electric has extremely short chapters, and all of them have a clear sense of action. The story hurls forward quickly, though not always believably. Some of the elements I found to be too easy, too convenient, or too contrived. 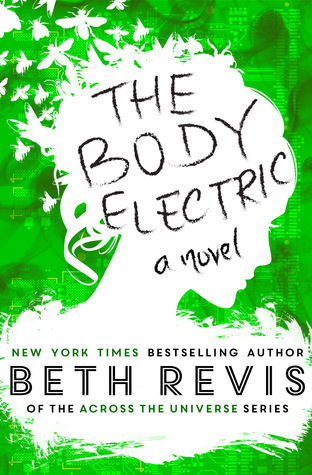 Lovers of the genre will find plenty to love in The Body Electric. It has high stakes, lovable characters, and an interesting world.